Significant financial problems and a sense that one can evade detection can cause hard-working individuals to make serious tax mistakes. While many people seem to think that attempting to avoid their tax obligations is a viable option, such a decision typically only provides short-term relief. However it is usually only a matter of time before agents from the Internal Revenue Service (IRS) detect the discrepancy in your accounts. Then your financial problems are likely to be exacerbated by significant fines and other tax penalties. 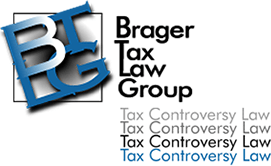 The Brager Tax Law Group is dedicated to helping clients correct their tax problems. Our tax professionals strive to correct tax compliance issues in a manner that minimizes potential civil or criminal tax consequences. To schedule a confidential consultation with an experienced tax attorney, who services Orange County call (800) TAX LITIGATOR today. What if the IRS Questions me About Unfilled Returns? If you have failed to file all required tax returns and all required disclosures of foreign accounts, facing an inquiry from the IRS can be an extremely delicate situation. Working with an experienced tax lawyer can help balance your need to provide truthful and accurate tax information to the IRS while also resolving delinquencies and protecting yourself from additional tax problems. For instance, it is not unheard of for an IRS agent to ask directly, “Have you filed a tax return for all years where you were legally required to do so?” If you have not filed your taxes but state that you have to the agent, you have knowingly provided false information regarding a tax return to the IRS. Making a false statement of this type can result in the imposition of fines, penalties and up to three years in prison. However, the alternative doesn’t necessarily present a more favorable option. Depending on the agent’s interpretation of you admission, he or she may believe that your failure to file was willful. If the failure to file was willful, then as per 26 USC §7203 up to a one-year prison sentence and other penalties can be imposed. A situation of this type presents a seemingly impossible quandary to most individuals who are not tax professionals. However, an experienced tax law attorney, such as those at the Brager Tax Law Group, can analyze your circumstances and present options that may increase the chances of a more favorable resolution. Thus, if faced with a situation like the one above, it is typically in the taxpayer’s best interest to simply request that they be given time to review their records before making any statements that may carry significant legal consequences. The IRS is typically willing to consent to an extension during which you can consult with a tax professional and prepare a strategy to resolve your compliance issues. Can I be Charged With a Crime for a Failure to File Taxes? Aside from the misdemeanor charges that can attach for a willful failure to file taxes, criminal charges can also apply. Internal Revenue Code §7201, the criminal tax fraud statute, states, “Any person who willfully attempts in any manner to evade or defeat any tax imposed by this title or the payment thereof shall, in addition to other penalties provided by law, be guilty of a felony and, upon conviction thereof, shall be fined not more than $100,000 ($500,000 in the case of a corporation), or imprisoned not more than five years, or both, together with the costs of prosecution.” In situations where the IRS decides not to pursue a criminal tax charge civil tax fraud penalties may be advanced pursuant to Internal Revenue Code § 6663. Under Internal Revenue Code §6663, the civil tax fraud statute, a penalty can be imposed of “an amount equal to 75% of the portion of the underpayment which is attributable to fraud”. Although a statute of limitations does not exist for civil tax fraud charges, the IRS usually limits additional tax assessments to the previous six years. If you suspect that you have unfiled taxes or other tax compliance concerns, time is of the essence. Failure to address tax problems before an investigation is launched will typically make one ineligible for disclosure programs, since the disclosure would no longer be voluntary. However, it is essential to proceed meticulously if you do decide to utilize the Voluntary Disclosure Program, because participation in some programs can actually make tax problems worse if they are elected in inappropriate circumstances. Working with an experienced tax attorney can result in a more favorable resolution to unfiled taxes or other compliance problems. To speak with one of the Brager Tax Law Group’s dedicated and experienced attorneys, call us at (800) TAX LITIGATOR or contact us online.